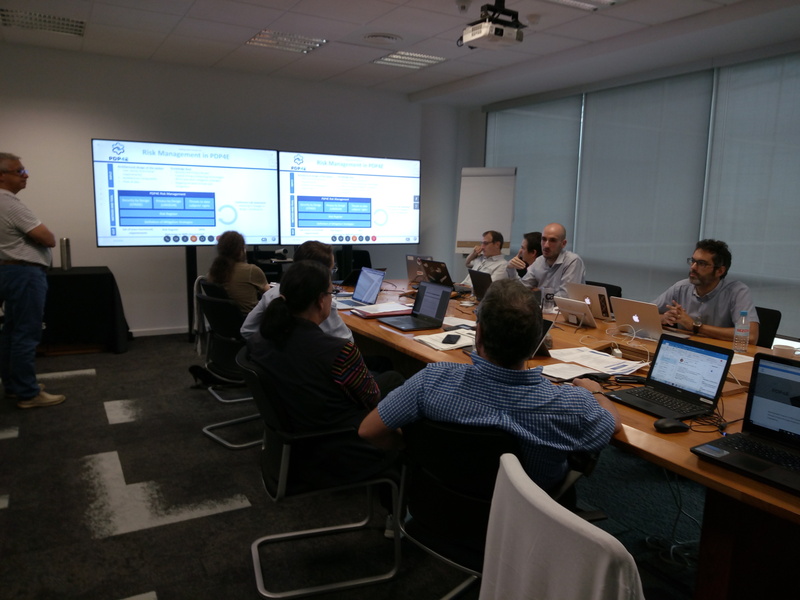 PDP4E continues its work, this time in CA Technologies headquarters in Barcelona. PDP4E work continues through the discussion of its architecture and tools for Risk Management (MUSA), model-driven engineering (Papyrus) and Assurance (Opencert). A first glimpse was shown around the two demonstrators – pilots in different domains: Fintech and SmartGrid. The project was officially presented during the IPEN Workshop 2018 that took place in Barcelona, this year. UPM presented the needs of engineers, what they need and what they get by the new regulation. PDP4E looks deep into this gap to provide engineers a more compliant tools and methods in order to facilitate them the work in line with GDPR. 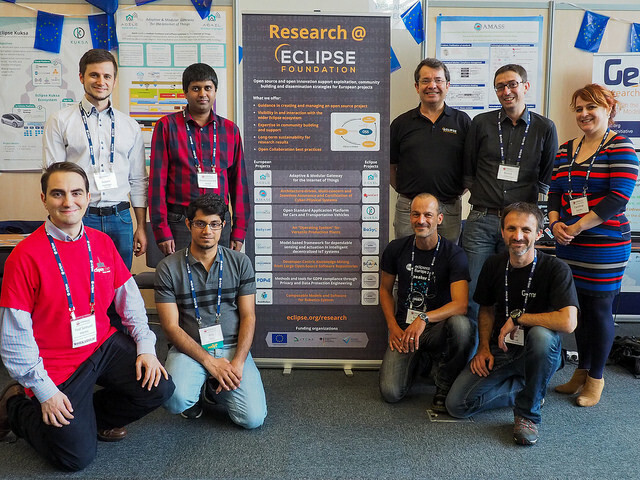 PDP4E carried out its first workshop during the EclipseCon in Toulouse. With the presence of different partners of the project, the workshop leaded by the Technical and Scientific leader, Samuel Martín, presented a first vision of the project and main objectives focusing on a specific end-user, engineers. Engineers keep the protagonism in the project work through different methods and Tools that will provide a better compliance with GDPR in a more suitable way to them and their work. The workshop and whole event in Toulouse allows PDP4E to encounter many different type of engineers and exchange with them their doubts, questions and last worries about the implementation of new regulation, as well as to introduce them the goals and work of the project. All this feedback becomes very relevant at the time to draw the first lines of requirements for the tools. 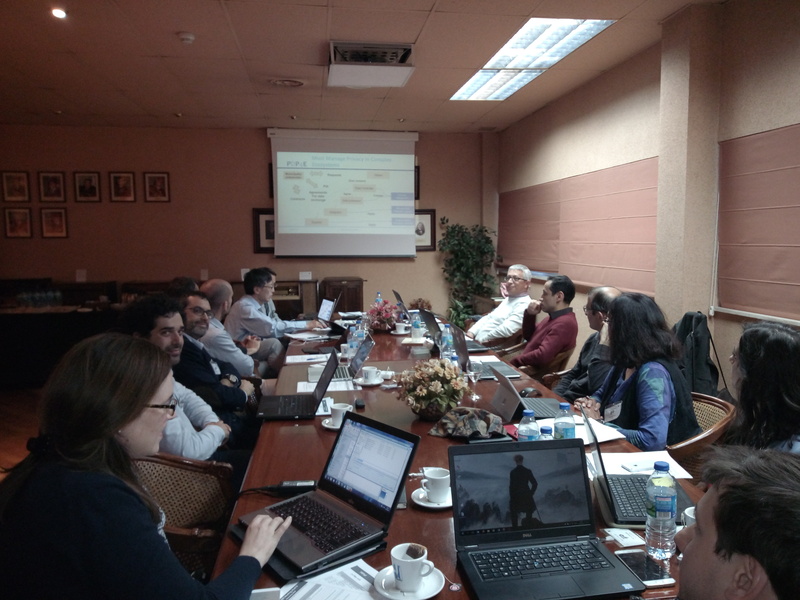 PDP4E project starts in Madrid where all the Consortium was hosted by UPM, which holds the technical and scientific leadership of the project. 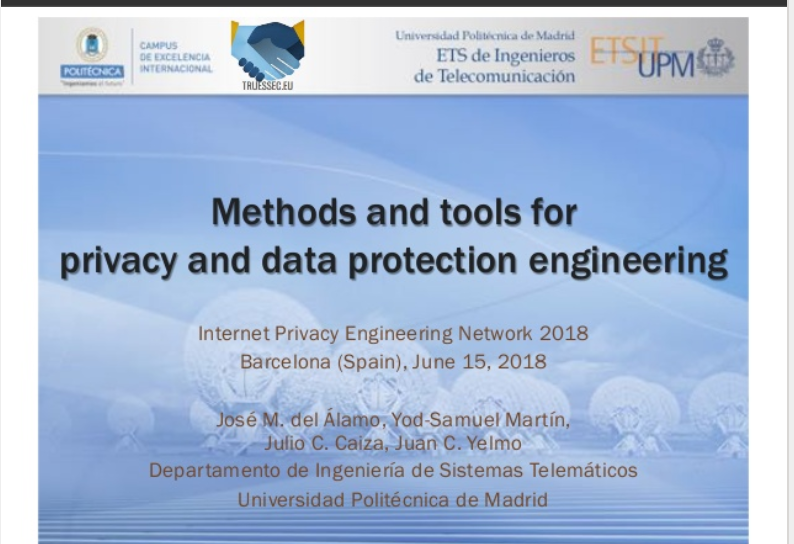 Privacy Data Protection for Engineers aims to introduce Privacy and GDPR compliance into mainstream engineering tools. First presentations and discussions about the tools and methods that partners provide to the project were shown under the look of our Project Officer, Therese Shryane.